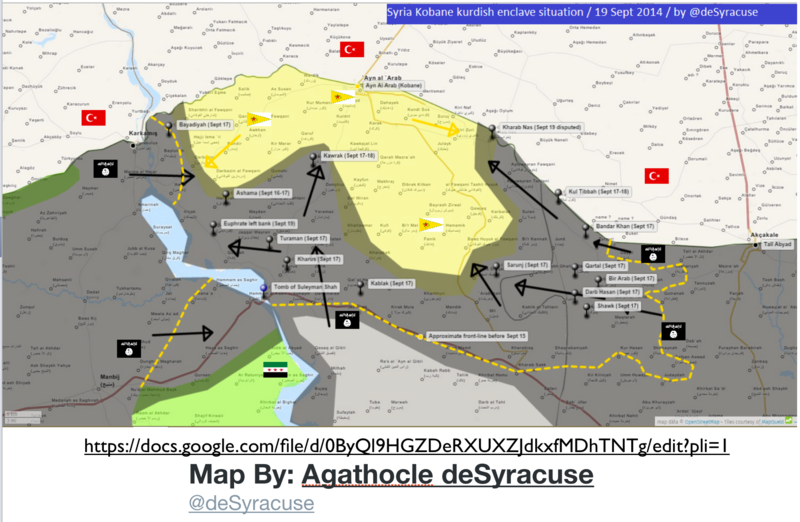 “ISIL (Islamic State) are continuing to advance. Every place they pass through they kill, wound and kidnap people. 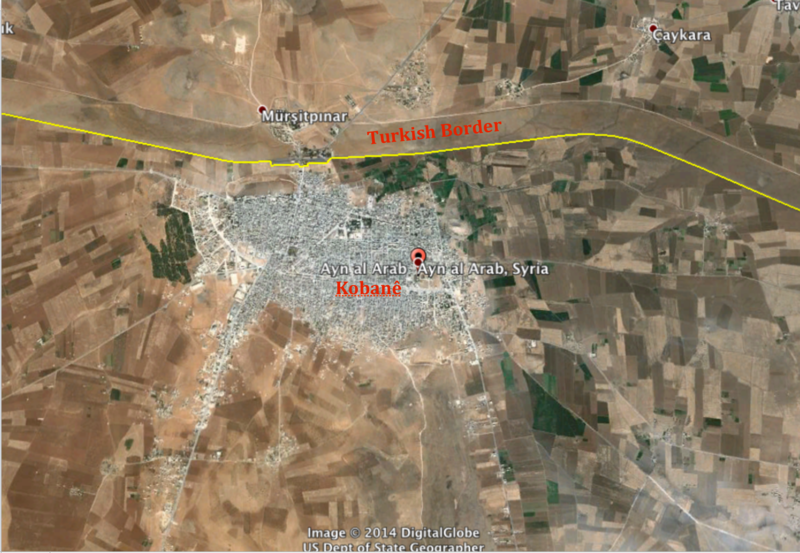 Many people are missing and we believe they were kidnapped,” Welat Avar, a doctor, told Reuters by telephone from Kobani. “We now urgently need medicines and equipment for operations. We have many casualties … ISIL killed many people in the villages. They cut off the heads of two people, I saw it with my own eyes,” he said. 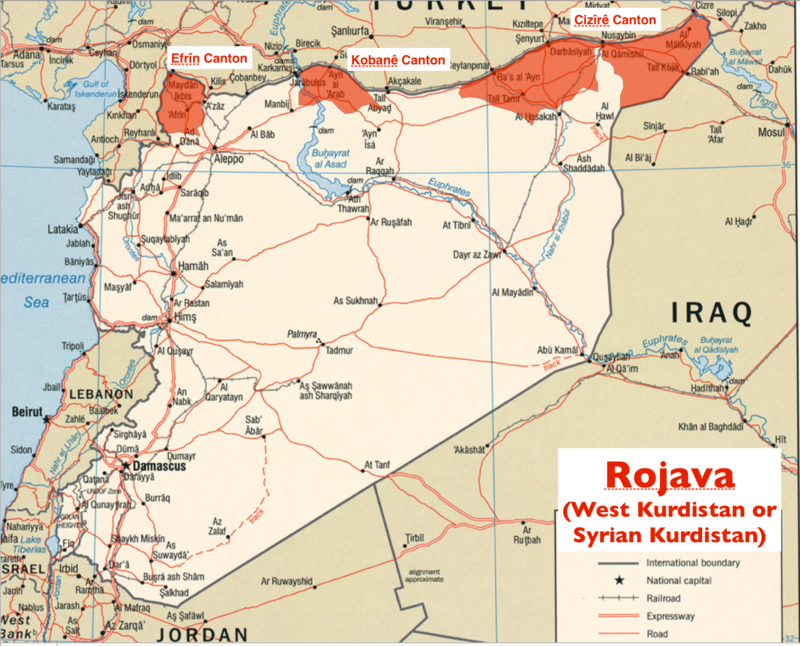 The threatened Kurdish enclave in question forms one of three sections of the de facto Kurdish autonomous region of northern and Eastern Syria, known internationally as Syrian Kurdistan, but referred to in Kurdish as Rojava (“West”), or more formally Rojavayê Kurdistanê. 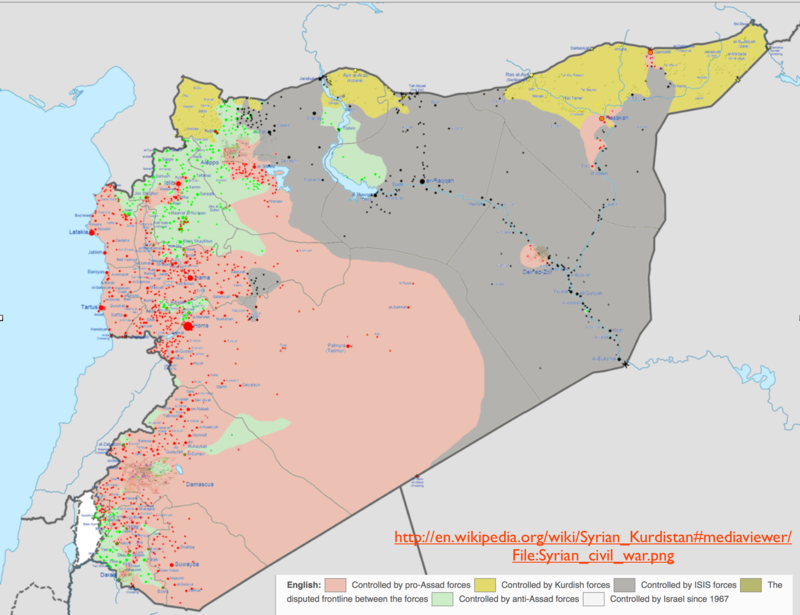 This divided region declared its autonomy in 2012, and since then has been under the control of the People’s Protection Units, commonly called the YPG (after the Kurdish term Yekîneyên Parastina Gel). 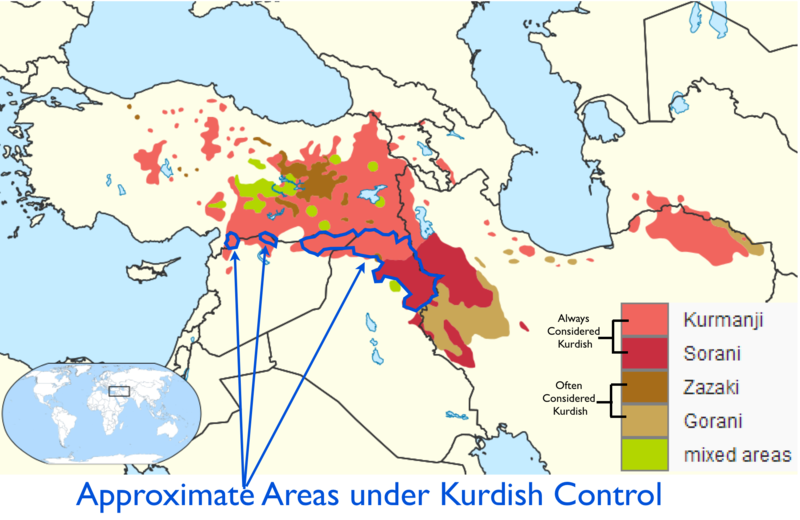 Turkish authorities tend to be highly suspicious of the YPG, which they view as the military branch of the Kurdish Democratic Union Party, which in turn is affiliated with the Kurdistan Workers’ Party (PKK), a Kurdish organization based in southeastern Turkey that was until last year engaged in an armed struggle against the Turkish state. Although YPG units have proved themselves militarily capable, in the Kobanê area they have not been able to withstand the onslaught of the much more effectively armed ISIS fighters. Like the followers of the Islamic State, most Kurds are Sunni Muslims. But that is where the similarities end. Diren says that, to the fanatics of IS, a female fighter is “haram”, anathema: a disturbing and scary sight. “These Isil soldiers apparently believed that if they were killed in battle, they went to paradise as long as they were killed by a man,” he told The New York Post, citing reports of Kurdish female fighters laughing as they repelled attacks by the extremist group. I find it intriguing and disturbing that the ISIS advance and the Kurdish retreat in northern Syria are receiving little attention from the U.S. media. I suspect that this lack of concern stems from the uncomfortable situation presented by the Kurdish militias in the region. The policy of the United States and its allies is based on the sacrosanct nature of official boundaries and geopolitical units in the region; Iraq and Syria must, according to this doctrine, be reconstituted as coherent nation-states. 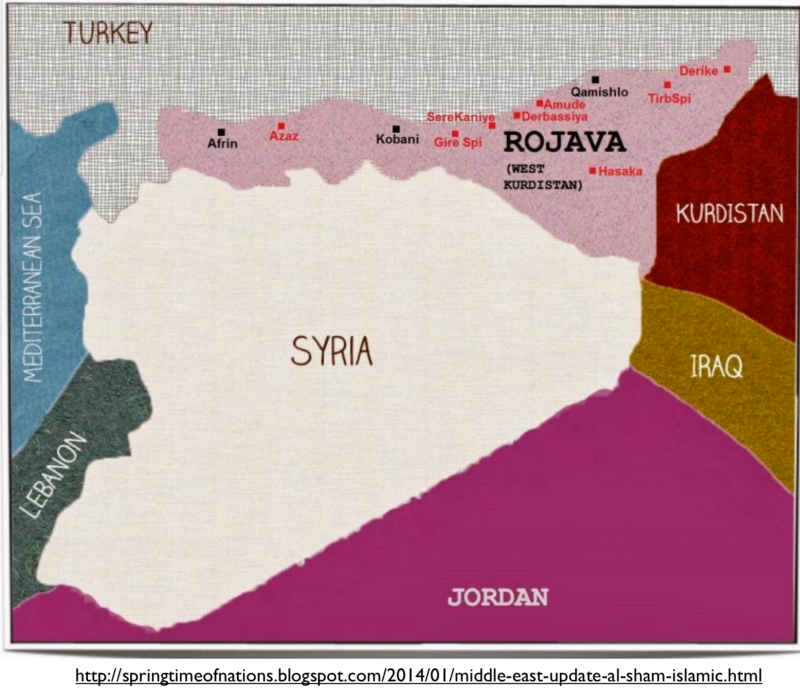 Kurdish aspirations, however, run counter to this idea. Whether the American policy in question is based on realistic assessments is another matter altogether. As I have argued elsewhere, the idea that these two countries can remerge as coherent, self-governing, non-autocratic states may be nothing more than a delusion. 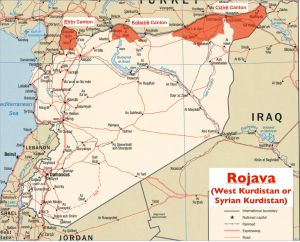 Will the Kurds be sacrificed to such a geopolitical fantasy? I hope not, but the events of this past week do not leave me feeling very optimistic.